Happy Humpday everyone! 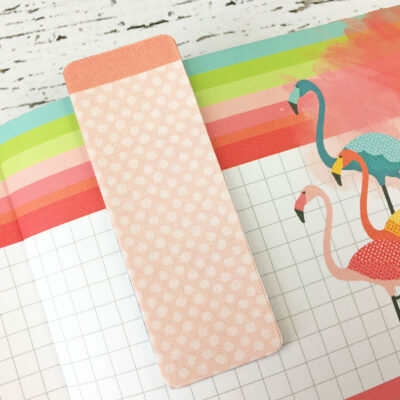 Suz back with you today to share August’s Sketch Challenge and with you as well as a few creative interpretations of it by Alissa, Lisa, and myself. 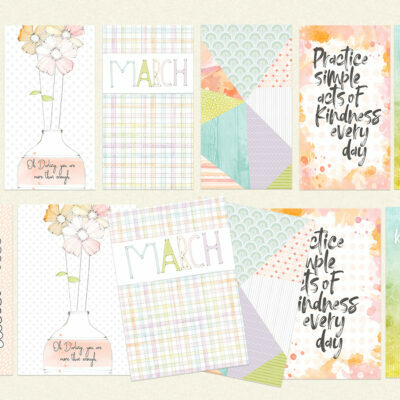 She took a looser approach to the design and used three DITL cards in place of some photos and used that lovely thin washi for the horizontal stripes in the design. Gotta love all of the circles too! Doesn’t her design just bubble over with fun and happiness?! 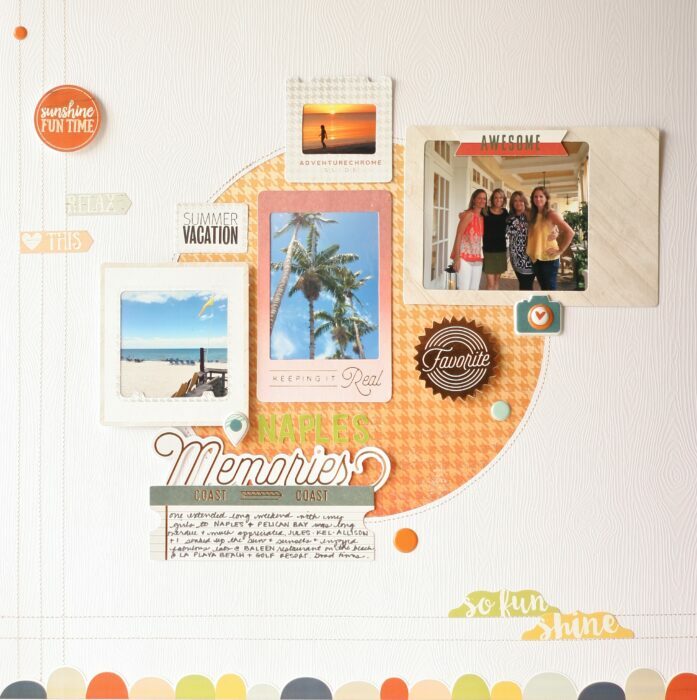 Alissa’s take on the sketch shows her twist on the sketch, implementing the lines and multiple photos as well as going with the circle themed design with respect to embellishments. I love that she used the circled patterned paper in lieu of one larger circle for her background. I had so much fun playing with all of the embellishments from the BYOAO options this month. Here I have highlighted the frames, enamel dots, Evalicious puffy elements and Simple Stories Bloom and Grow Sticker sheet. 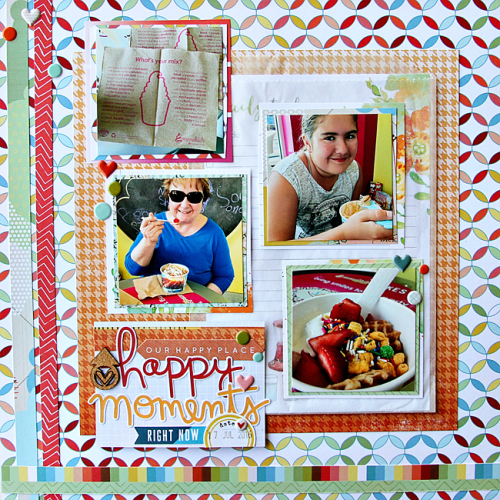 I love the extra texture that the woodgrain card stock adds to my layout as well. 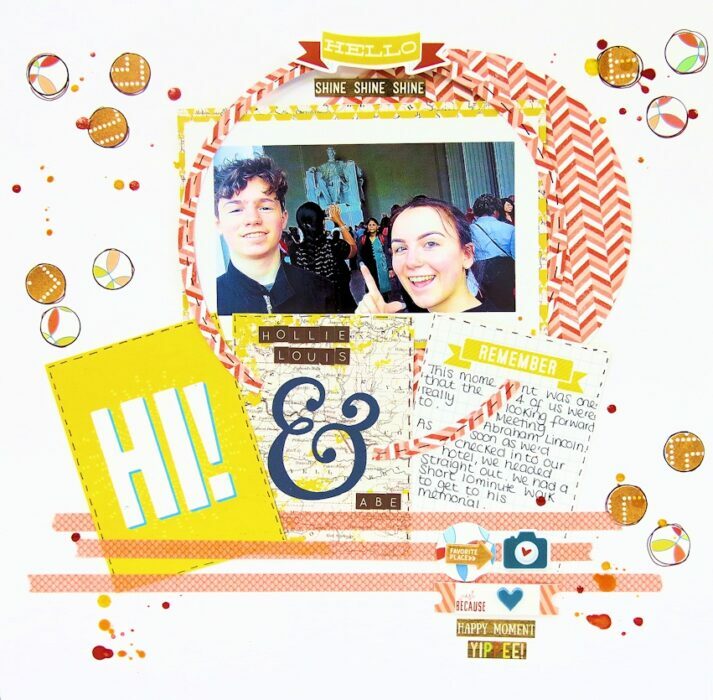 Looking forward to seeing what each of you create with the PenPal kits and this sketch! 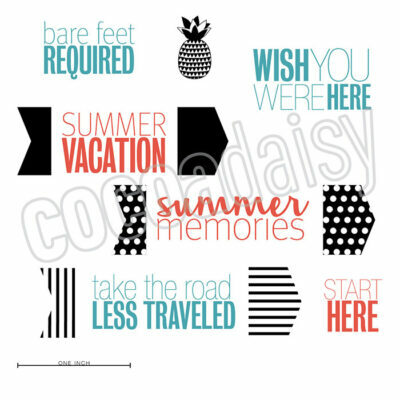 Play along with the sketch and post a link to your design in the comments below for a chance to win a GC to the Cocoa Daisy Boutique!! Winner will be announced on the blog on August 18th and the deadline to post your takes on this challenge is August 17 at noon CST. 🙂 Have fun!! Our August Guest Designer is a fan of Keifer, if you hadn't guessed. Great takes on the sketch! 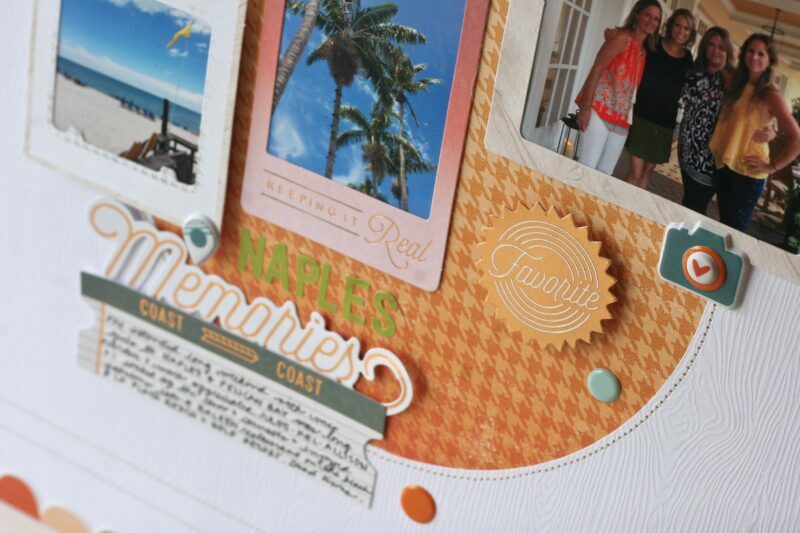 Love frames and oh, that textured white cardstock…fab. 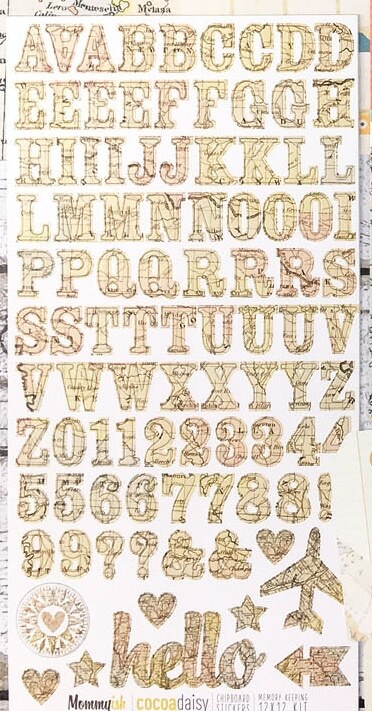 Love the different takes on the border: washi, strips, stitching and fussy cut piece. Thanks for the inspiration ladies. I always love the sketch challenges, but this one is even more special than others. I hope to have time to play, but being a recovering lawyer, I need a little more precision — when is the deadline? The random winner will be posted on August 18, so the deadline will be August 17, Noon CST. I never know how to make the picture show up here. 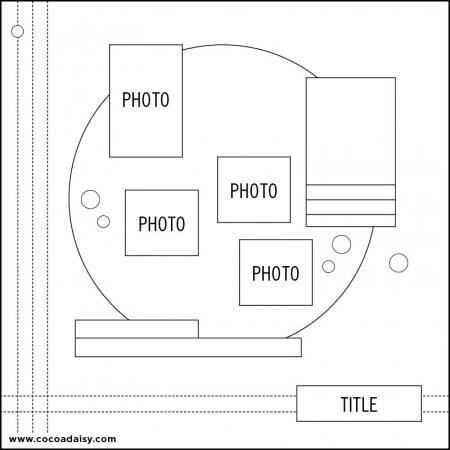 Although you can’t tell from my page, the idea totally started from the layout. I picked out pictures based upon and envisioned it. Thanks so much!